After unboxing the phone and even scratch-testing some metal packaging, Zack gets right to work. He starts off with the screen scratching test, which the ZenFone passes with flying colors. While putting ASUS's PureMetal branding to the test, Zack discovers that while the back is metal, the sides are coated with a heavy layer of plastic or primer. This may be a bit deceiving of ASUS, but since plastic absorbs impact better than metal, this could actually be good for durability. 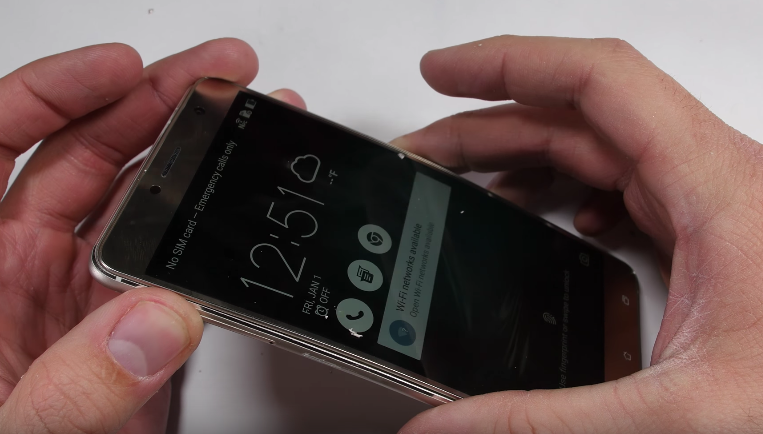 When it is subjected to the bend test, the Deluxe's screen fails to recognize touch initially, but normal operation resumes after Zack turns the screen on and off. The chassis does bend a bit, but most of the damage can be reversed. Other highlights of the video include an earpiece that isn't metal, a fingerprint sensor that scratches easily but still works fine afterwards, a sturdy glass camera lens, and a screen that is resistant to fire (well, kinda). You can check out the full video above. Set a few hours aside for yourself to watch it, as it is entirely possible that a JerryRigEverything binge-watching marathon will initiate.